Morse Code: What Hath God Wrought! On this day, May 24, 1844, the greatest discovery in the methods of communication, an invention born out of personal tragedy, was successfully put to the test. This technology launched the world-wide communications revolution and marked a turning point in the advancement of human civilization. Professor Samuel Morse was born in Massachusetts in 1791, graduated from Yale, and became a successful portrait painter. He was commissioned to paint Revolutionary heroes like John Adams and James Monroe. One day in 1825, Morse was in D.C. working on a painting of America’s great French ally and friend during the Revolution, Lafayette, when he received a letter from his father saying Morse’s wife was deathly ill. By the time Morse made it back home the love of his life was already dead and buried. She was only 25. Morse was devastated that he couldn’t be with his beloved in her final hours. He was haunted by the fact that it took so long to receive the news of her declining health the old fashion way. Morse, as a result, turned his attention to the study of electricity in order to come up with a way to speed up communications. By 1835 he had discovered the electric telegraph. 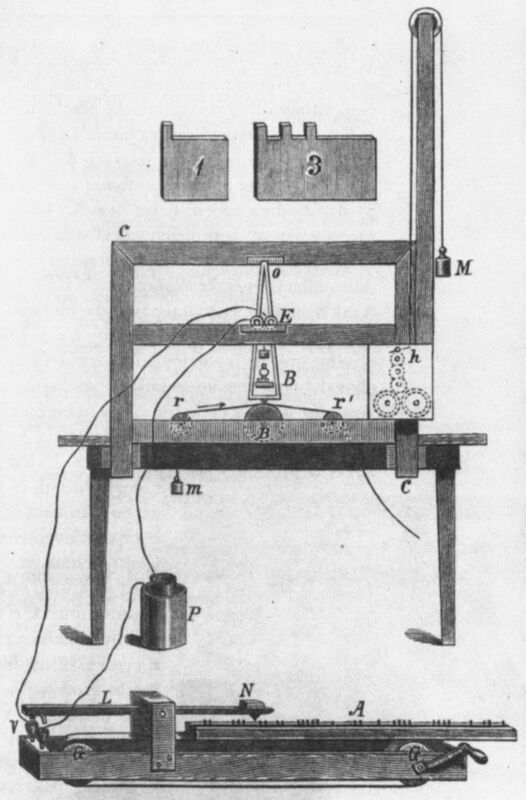 Morse got his patent in 1838 and spent every dime perfecting his inve ntion. The message was received in seconds by Morse’s assistant in Baltimore who triumphantly repeated the message back to the sender in Washington. Those who witnessed it were astonished. Professor Morse said, “You ain’t seen nothin yet! One day my wires will encircle the earth.” Those are my words with a modern spin, but those are his sentiments. He prophesied his telegraph wires would soon carry messages not only across America, but under the ocean to Europe. Morse, however, was now broke having depleted his fund on his great project. Congress, realizing the potential of Morse’s invention after his successful test, stepped in to help. From that point on his invention took off and Morse was honored all over the world. In 1844 Morse’s communication invention carried the news of the election of James K Polk from Baltimore to Washington D.C. This became the forerunner to our modern election night instant results coverage. Telegraph lines were rapidly erected throughout the country. In 1851 the first electric fire-alarm telegraph was set-up. Morse then sat down and personally input his name at the end of the message. He died ten months later at the age of 80. On this day, May 24, 1844, the first Morse code message is sent; a day that should be recognized as a turning point in the advancement of human civilization.